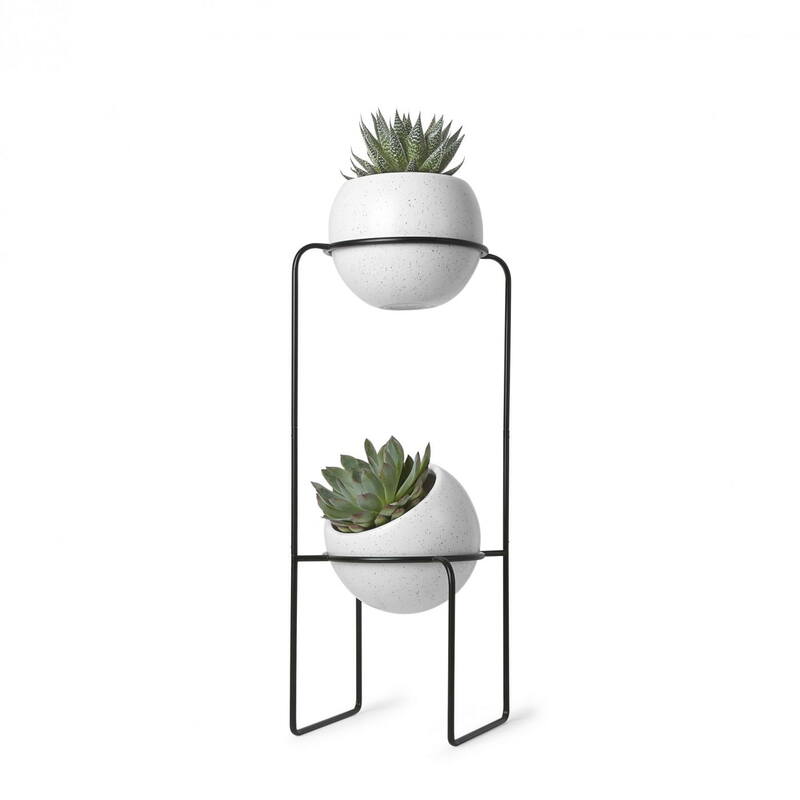 Add a fresh touch of nature to your living space with the large Nesta Tiered Planter. 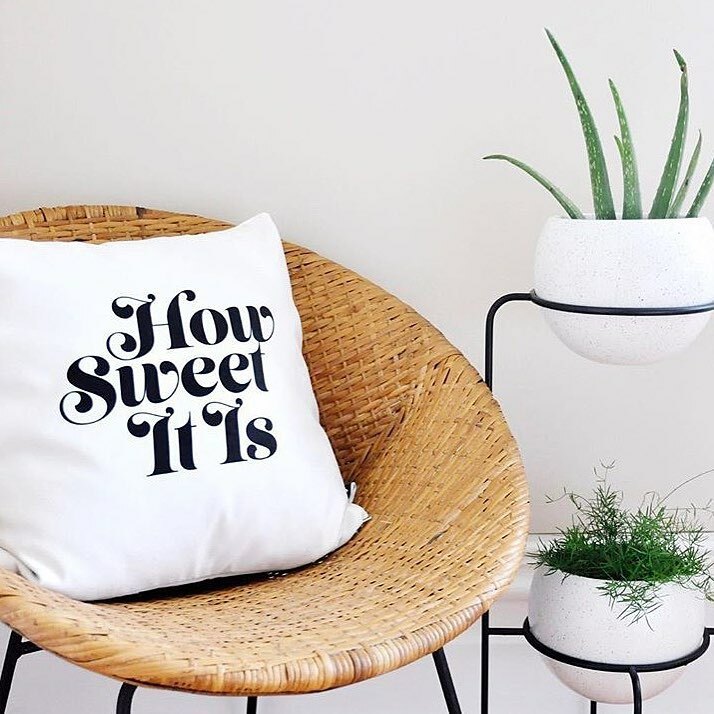 Its unique and minimal design is perfect for any modern living space. 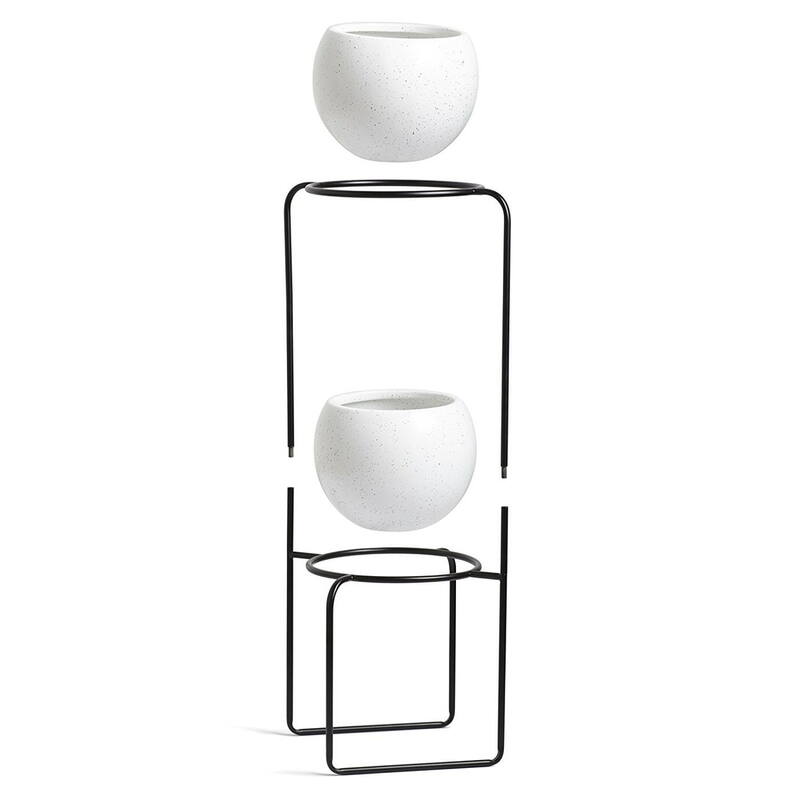 The white speckled ceramic pots can be rested inside the sculptural base at different angles. 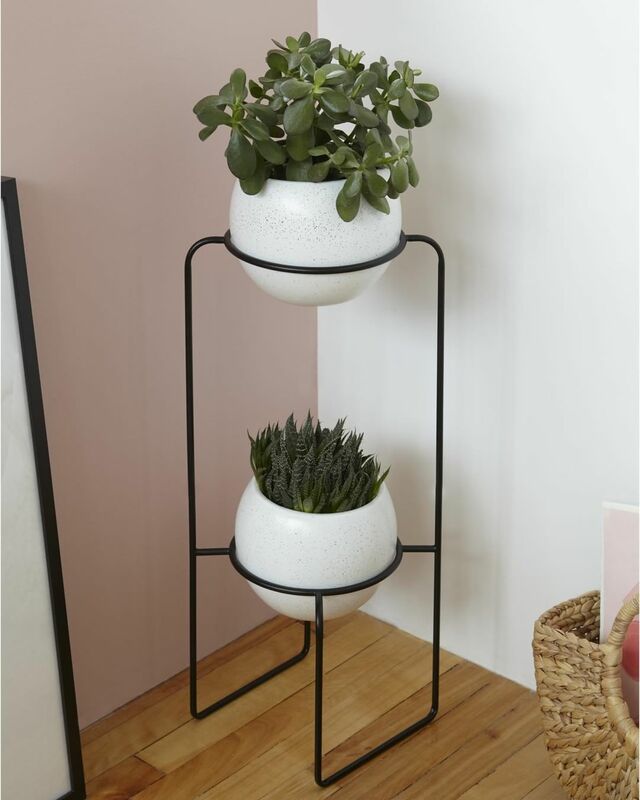 This floor-standing double planter is a beautiful addition to any living room, bedroom or office; a combination of minimal design and the warmth that plants add to a living space. 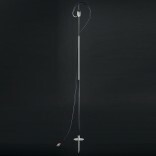 Suitable for plants measuring 5-10 cm (2-4 inches) in diameter. 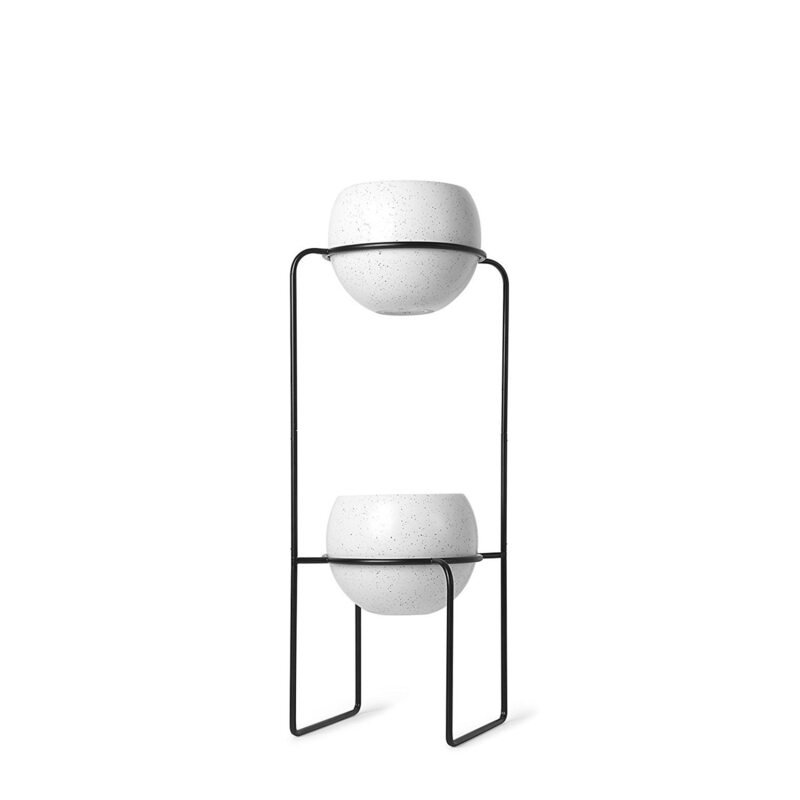 Materials: White speckled ceramic and metal wire. 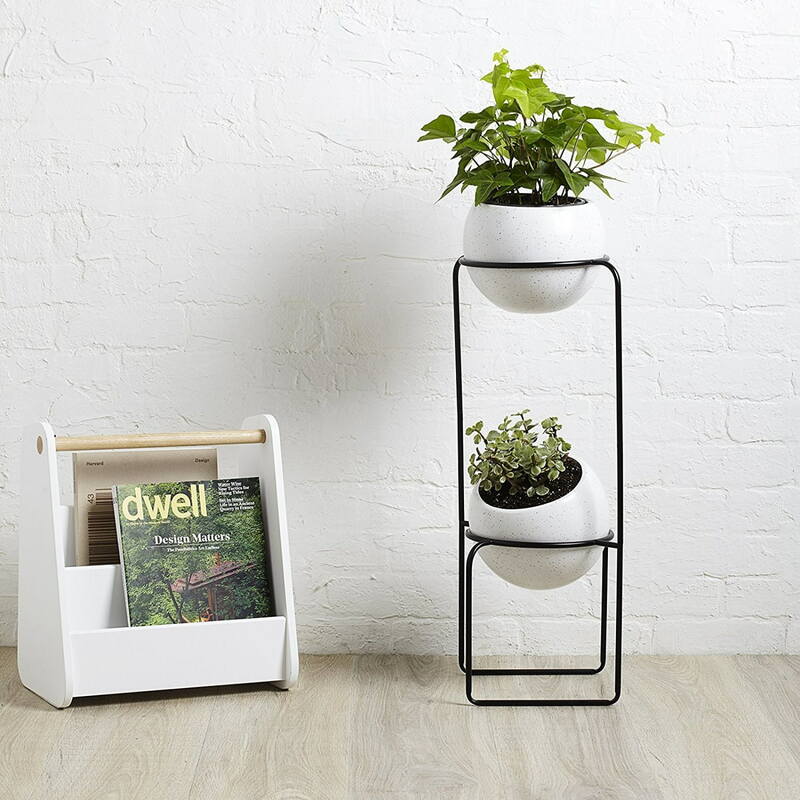 Overall planter structure measures 21.6 x 21.6 x 70 cm / 9 x 9 x 28".